With Christmas just around the corner everyone is making sure they have the perfect gifts for their family and friends. With this in mind we wanted to share some ideas of non-plastic gifts that won’t harm the environment. If you have any family members or friends who are passionate about cooking then we recommend buying them some homeware made from Bamboo. Not only is it an eco-friendly alternative to the usual plastic chopping boards and utensils but they are also really stylish and add a natural modern feel to your home. Make your own Bamboo chopping board or butchers block with one of our Bamboo ply boards. 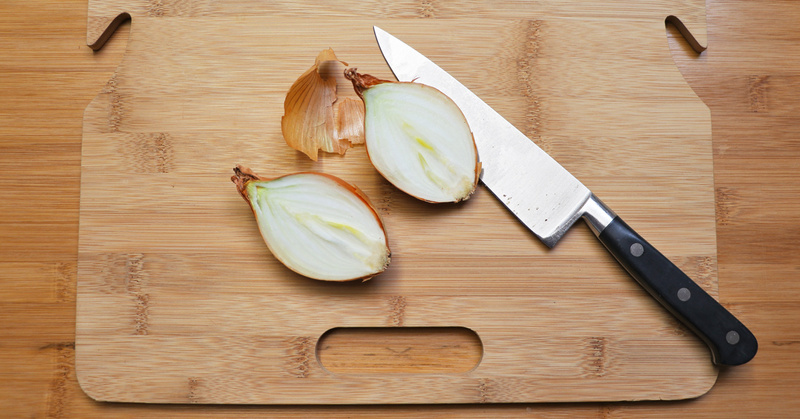 Unvarnished bamboo board provides the perfect kitchen chopping board. to keep your board looking its best use food safe Tung oil every once in a while. Making a personal gift is the perfect way of showing how much you care about someone. Get creative with our Bamboo slats cut into mosaic pieces and cover an old picture frame or mirror. 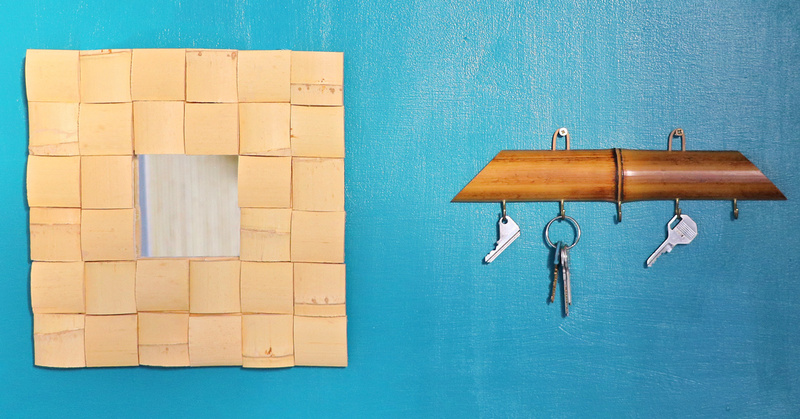 Use a piece of split Bamboo pole to make an attractive key holder for a relatives hallway. 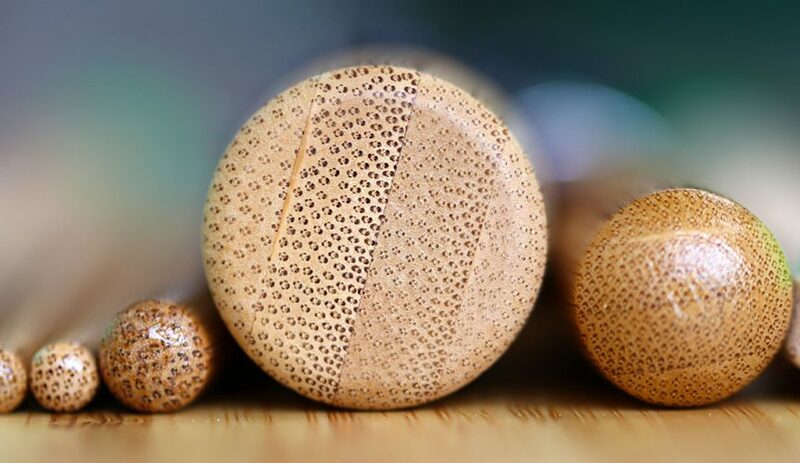 Or if you’re feeling really creative you can try carving or decorating the bamboo to make miniature statues and ornaments to be used for decoration. 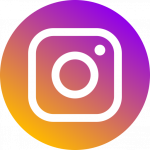 If you would like some inspiration check our Pinterest boards and see if there is anything that catches your eye. Bamboo poles and slats can be used to make these attractive household items. 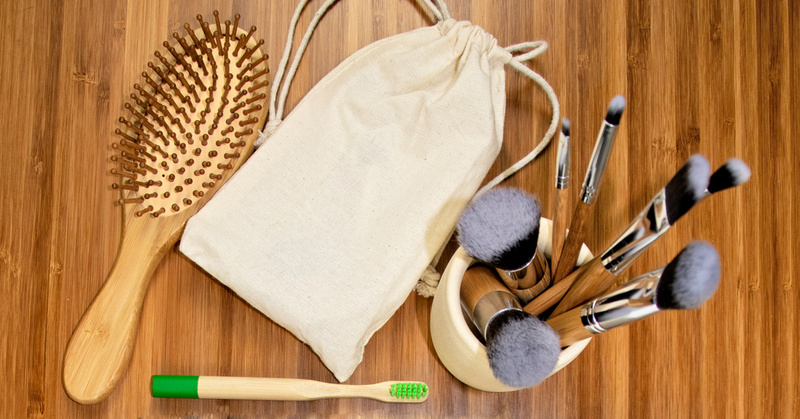 This month we are bringing out our new range of beauty accessories made from bamboo as an alternative to plastic. This family gift set would be a great present for anyone who is interested in swapping to more environmentally friendly products. all you need to do is wrap it up and place it under the tree just in time for Christmas day! Our bamboo beauty set is a great gift for anyone eco-conscious. The bristles are vegan-friendly too!